Sofia Vergara is a Colombian actress and model that has gained a top spot in Hollywood. Fans love her for her feisty attitude both on and off the screen and her beauty makes her stand out in every room. For those who have always wanted to know a little more about her, this is the right place. Keep reading below. Sofia Vergara at birth was named Sofia Margarita Vergara Vergara. She was born on the 10th of July 1972 into a Roman Catholic family whose patriarch – Julio Enrique Vergara Robayo was a cattle rancher and his wife (Sofia’s mom) Margarita Vergara de Vergara, a homemaker. The family lived in Barranquilla, it was a large family consisting of five siblings and a lot of cousins. Initially, Sofia Vergara seemed to be towing the path of a regular career as she went to study dentistry for three years at a University in Colombia. She, however, left when she was only two semesters away from gaining her degree and began pursuing a modeling career and show business. It was then that she moved to Miami, Florida. An unfortunate event also happened at that time as Colombia was experiencing some unrest – her older brother Rafael was killed in 1998 when an attempt was made to kidnap him. Sofia Vergara despite her passion for acting and modeling was first terrified to plunge into the world of acting even after she was effortlessly discovered by a photographer while walking on a Colombian beach. Her fear stemmed from her Catholic upbringings and until she received permission from her Catholic schoolteachers to start taking on acting roles she stayed reluctant. After getting permission, Sofia Vergara starred in her first television commercial when she was 17 years old. It was a Pepsi commercial and it aired in Latin America. She trained at the Creative Workshops School of Acting. Her fame rose when she co-hosted two television shows for Univision in the late 1990s. The 2003 Chasing Papi was Sophia Vergara’s first English acting job. She soon began appearing in films like Madea Goes to Jail (2009) for which she received an ALMA award, The Smurfs (2011) and Escape from Planet Earth (2013). By 2012, she had become a top-earning actress on US television. Still, Sofia Vergara is probably best known for her role as Gloria Delgado-Pritchett in the ABC sitcom Modern Family. For it, she has received four Primetime Emmy Award nominations for Outstanding Supporting Actress in a Comedy Series. April 2012 saw Sofia Vergara becoming the highest earning woman on television in the United States with a whopping $19 million earned for the previous 12 months. She was consequently named by the Hollywood Reporter as one of the most influential Latin women that worked in Hollywood. Sofia has also featured on People’s magazine list as one of the 50 most beautiful people in addition to having a star on the Hollywood Walk of Fame. Family – Who is Sofia Vergara’s Son, Husband, Sister? Sofia Vergara’s family is large. Despite her brother Rafael being murdered in an attempted kidnap, the Vergara family still had five children and numerous other siblings. Her cousin and adopted sister known as Sandra Vergara is also a television actress in the United States. Her younger brother Julio had a drug addiction problem and was deported from the United States to Colombia in 2011. 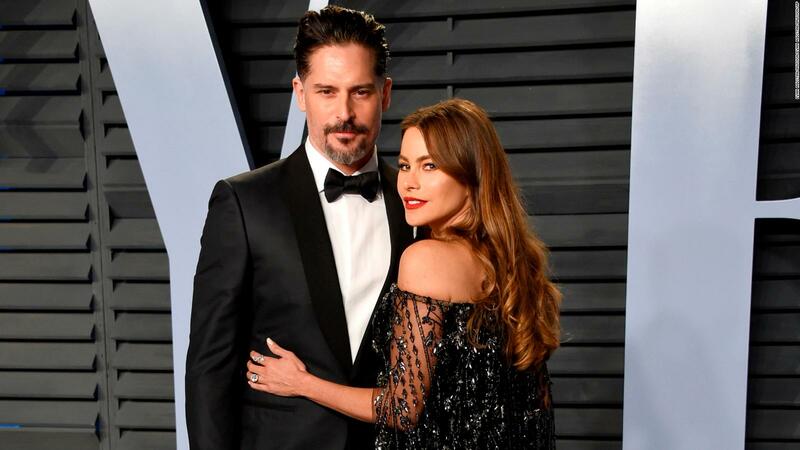 Sofia Vergara, of course, went on to create a family of her own and got married when she was only 18 to Joe Gonzalez her high-school sweetheart. Together the two had a son named Manolo in September 1991. She got divorced from Joe Gonzalez in 1993. In 2012, Sofia Vergara again came close to marriage. She announced her engagement to her boyfriend Nicholas M. Loeb on the 10th of July 2012 but on 23rd May 2014, she announced that the engagement had been called off. She, however, tied the nuptial cord with Joe Manganiello the True Blood star. They got married on the 21st of November 2015 in Palm Beach, Florida having been engaged on 2014 Christmas day. Sofia Vergara stands at a height of 5 ft 7 in or 170 cm and weighs 64 kg or 141 pounds. She shares a personal trainer called Gunnar Peterson with the likes of Kim Kardashian, Angelina Jolie, and Jennifer Lopez. She is really serious about her health especially after she was diagnosed with thyroid cancer in 2000. She, however, made a full recovery after she had radioiodine therapy. Since then the actress regularly takes medications to prevent hypothyroidism.